The hordes of tourists glomming onto New York City’s most famous sights likely won’t notice the wild acid-green parakeets of Brooklyn, the strange bricked-up prison window on the side of the NYPD headquarters, the jarringly angled townhouse facade on Greenwich Village or the world’s largest chess board mounted to the side of an apartment building. They’ll pass right over the subway grate that helped make Marilyn Monroe famous, and fail to notice the touching and disturbing miniature Holocaust memorial on a courthouse column. These 12 little-known sights speak of the city’s hidden history, and include a few offbeat but very New York things that locals should experience, too. Most tourists are too busy paying attention to the city’s infamous population of pigeons, or the rats scurrying along the sidewalk in broad daylight, to notice a more exotic species that has taken up residence around utility pole transformers and anywhere else that radiates heat. 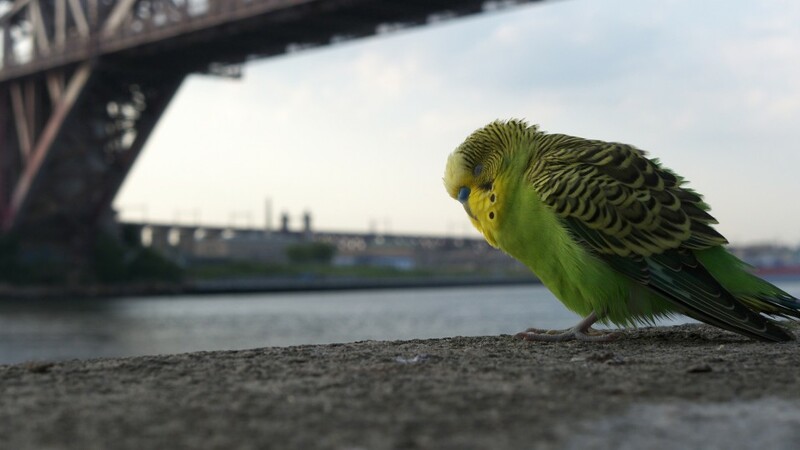 As the story goes, a shipment of Argentinian birds including parrots and parakeets in bright shades of green and blue escaped the cargo hold at JFK Airport in the ‘60s, and the birds set up nests all over the tri-state area. 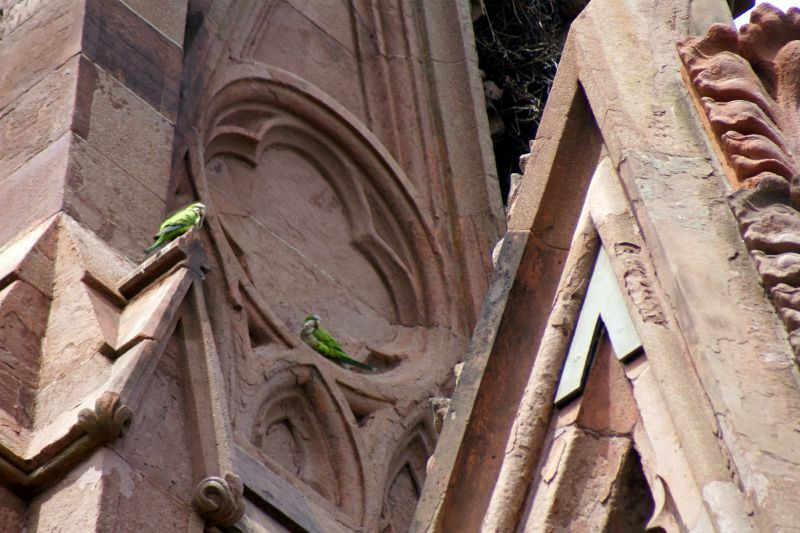 They’re most commonly seen in Brooklyn, especially at Brooklyn College and Greenwood Cemetery. On the same tram-accessible island housing a stunning abandoned asylum, crunching among dead leaves or peeking out from beneath tangles of rusted steel, hundreds of cats proliferate. Roosevelt Island feels a world away from Manhattan despite how easy the tram has made getting there, and its population of feral cats only enhances the sense of wildness and disorder. 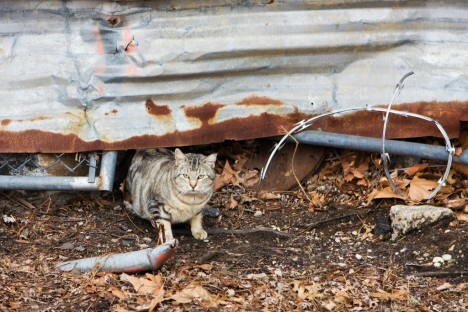 Nobody knows who first began abandoning cats on the island generations ago, but they’ve only multiplied, to the point that a group called Island Cats has formed to trap, neuter and adopt them out. 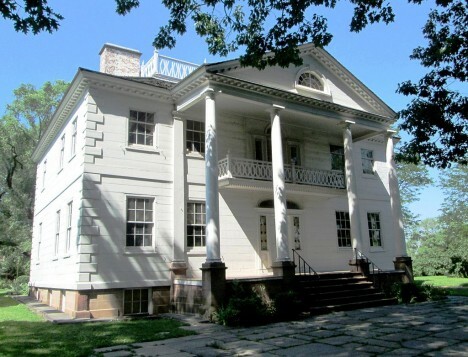 Built in 1765 by a British officer on Manhattan’s highest point in the hills of Washington Heights, the Morris-Jamel Mansion is the city’s oldest and supposedly most haunted residence. Remarkably well preserved, the house hosted George Washington after his defeat at the battle of Brooklyn and is now a free open house museum. The home’s mysterious original residents, who were stunned by high society despite their wealth, add to the draw. Officer Roger Morris’ mistress-turned-wife Eliza Bowen Jumel was the subject of nasty rumors, blamed in gossip for his early death and spending nearly three decades at the house as a recluse descending into dementia before her own passing. Paranormal investigators are particularly fond of the place, claiming that it hosts at least five ghosts. One of the single most iconic images of any American film was captured atop an anonymous subway grate on the corner of Lexington and 52nd, which is passed over by countless tourists every day due to the lack of a plaque or any other fanfare. While the scene that appears in the movie had to be captured on a soundstage, producer of The Seven Year Itch had Monroe get into costume and stand over the grate until an uptown 6 train went by, blowing the skirt of her white halter dress straight up into the air. The scene on September 15th, 1954 was a leaked publicity stunt that lead to a crowd of 3-5,000 spectators loudly talking, yelling and cheering, and the resulting photos were used to publicize the film. Today, you’ll find the grate outside the French restaurant Le Relais de Venise, if you want to recreate it.